Having laid the groundwork for readers to know Ash’s and Lainey’s relationship in Igniting the Flame, we get to see what happens to them as the story continues. There is a lot of tension in the book both personal between these two people and in the family. Lainey has a problem with Ash, especially when he breaks a promise. With her having no other support, her feelings of loneliness increase exponentially. Ash is on a covert mission and therefore unreachable; however, his brother Richard and his father step in to care for Lainey. One of the issues between Ash and Lainey is that the service is almost like a mistress and a demanding one at that, which makes being married something the three friends Ash, Colt and Reese try to avoid. There is someone from one of Ash’s past missions who is seeking revenge. However, this person is not only after Ash, but Lainey and her son Max as well. The secret Lainey has kept from Ash for a decade will now become known whether she wants it revealed or not. The surprising fact is who tells Ash what he doesn’t know. The novel is filled with high suspense, danger, and internal as well as external conflicts. I couldn’t put the book down until I read how the various aspects of the story and the characters’ lives were going to conclude. The series is of top notch storytelling and I believe many will become captured with the danger always lurking until the enemy is found and eradicated. 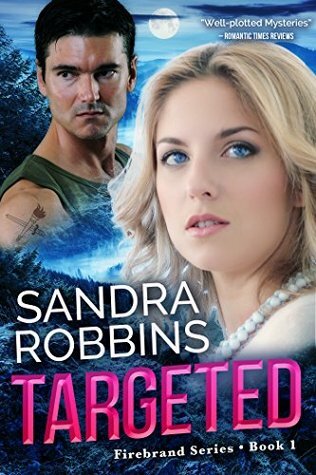 Read and find out how the two most stubborn and broken characters, Ash and Lainey, might find forgiveness and healing in Targeted!